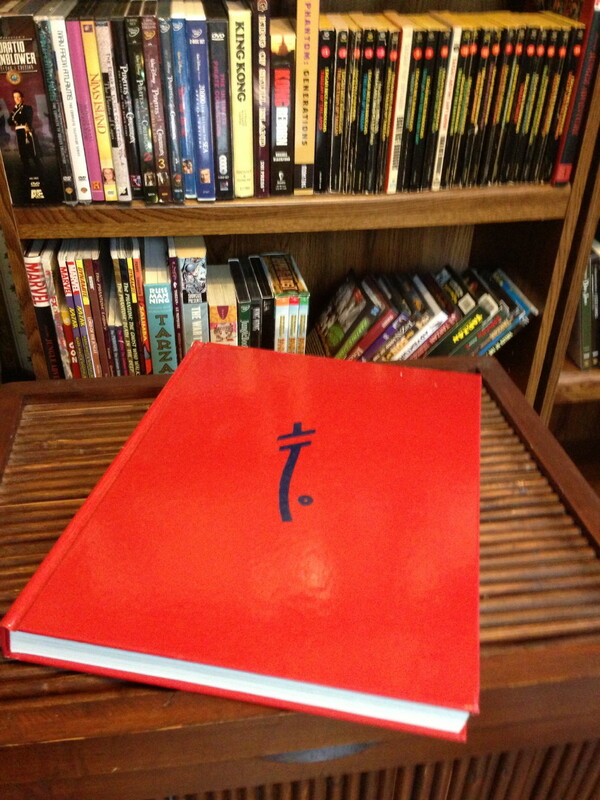 Beneath the dust jacket of Griffin's book is a red hardcover emblazoned with a blue sigil, sort of like a stylized "T" that's been turned into a sword or spear. I first assumed that it stood for Tarzan, but apparently not. No one seems to know exactly what the "doodad" (as Burroughs called it) represents, but the author created it while scribbling in the sand on a family fishing trip in 1924. He and his sons each had their own variations with the circle appearing in different places in relation to the central "spear." That way that they could leave signs to each other during outdoor expeditions to indicate which direction they'd travelled. Eventually ERB's version ended up on the spines of his novels published by ERB, Inc. and he even put it on the tail of his private airplane, also named Doodad. Studley explained the design in a letter (which Griffin reprints): Tarzan's there, of course, holding up Mars (identified by its two moons). Behind him are representations of other Burroughs characters and at Tarzan's feet are a crossed pen and sword, representing Burroughs' love for writing and the military. The heraldic shield is divided into four sections, each representing a different part of Burroughs' life: his time in the Calvary, his life in the American West, his return to the civilized East, and finally his literary career.